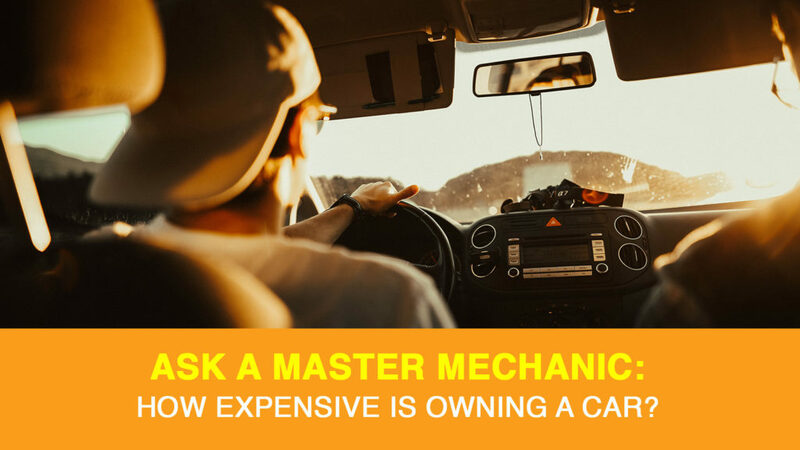 At Master Mechanic, we certainly understand the pride that comes with car ownership, but the accompanying expenses are also a big responsibility. Are you among the two-thirds of Canadians that believe their annual grocery bill is bigger than the cost for owning their car? Yep, it’s time to rethink everything! According to the Canadian Automotive Association (CAA) four in five Canadians under-estimate the annual cost of owning and operating a car. In fact, six in ten underestimated the cost by more than $4,000. In most cases, that’s nearly half the real amount. Yikes! We’re talking bill payments, maintenance, and more that can add up to substantial car expenses. The yearly ownership costs for an average compact car are about $9,500. For reference, the average Canadian spends $6,100 on groceries each year according to Statistics Canada. After a mortgage, vehicle ownership is the second-largest expense that most people have. Thankfully, the CAA has a tool to help potential buyers gauge the cost of car ownership by make, model, and province. It takes into consideration everything from gas to maintenance to provide a pretty accurate idea of what to expect. On average, owning your own entry-level compact vehicle costs just shy of $8,000 per year–and climbs upward from there depending on the car you choose. According to a Master Mechanic, you can rest easy knowing this isn’t maintenance costs. Although few keep tabs on it, depreciation is typically the most significant cost of vehicle ownership (nearly half of the annual price tag). To give you an idea, new vehicles lose 10 percent of their value as soon as you roll off the lot. For a compact vehicle, the average annual maintenance cost is $868. This includes recommended maintenance, such as oil and tire changes, and unscheduled maintenance costs like new batteries. It’s shouldn’t come as a surprise that owning a car comes with accompanying costs, but when we’re a starry-eyed buyer, we often don’t think about repairs. The best way to keep repair costs to a minimum is to take a proactive approach to servicing your vehicle. At Master Mechanic, we pride ourselves in only performing necessary maintenance and always being transparent with our customers. While the cost of car ownership may be surprising to some, we promise to keep these costs as low as possible and your car performing efficiently. If you’d like to schedule an appointment or have a question about how much a service would cost for a vehicle you’re looking to purchase, don’t hesitate to contact your local Master Mechanic. Your local Master Mechanic is always happy to help! < Ask A Master Mechanic: What Car Repairs Can Wait?